Our art deco Flower rings are simply beautiful! This one was created to go with another ring that was used as an engagement ring, but both can be worn as a standalone ring as well. If you want different flowers used, that is easily doable. This one is 4mm, but it could go wider if you like and can be cast in Argentium or Sterling Silver, Platinum, Palladium, white, yellow, or rose Gold. 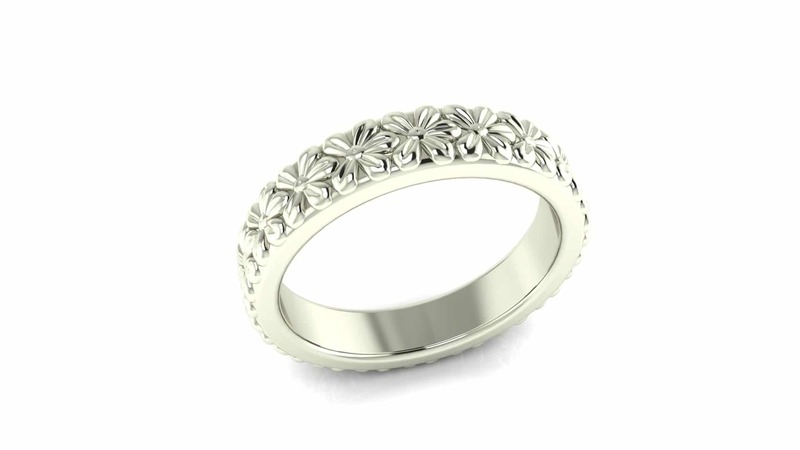 The starting price is for one of these art deco Flower rings in Sterling Silver. Click HERE to see the ring this one was created to match. If you have another idea for art deco Flower rings, send them over and we will see what we can do for you.